Paw shaped magnets are becoming the preferred value building choice for animal rights activists and organizations involved in raising awareness about pet care. Perfect for pet care businesses, animal rights crusaders and pet owners. They can choose from a vast selection of custom paw shaped refrigerator magnets like dog paw shaped magnets and school picture frame print punch full color magnets and paw shaped car magnets. Lowest price match guarantee and No hidden charges. Follow your leads by investing in this customizable paw print shaped magnets from Custommagnetsdirect.com! Everyone who cares and loves their pets can find purpose with these magnets. 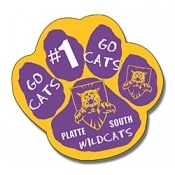 Paw printed magnets are also largely sought for fundraisers around US Schools and they often double up as mascot items, too. 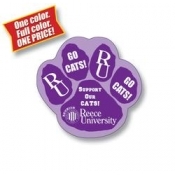 You can get these paw magnets imprinted with your slogan, logo, and contact information prior to gifting. 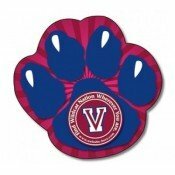 Custom paw shaped magnets are offered at cheaper prices and marketers can cut down on their investments by bulk ordering them from us. 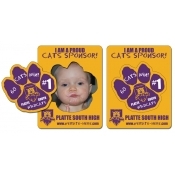 They can avail benefits of full color imprinting and make these magnets more presentable by imprinting their information in any color. 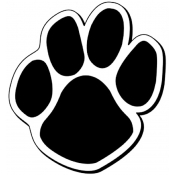 Paw print car magnets are becoming common sight over cars because people can easily see them from a distance due to its typical shape. No matter, whether it is raining or shining brightly, people can see this magnet and even strain their necks to see what is written on them. 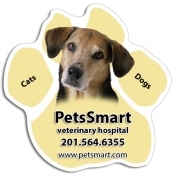 Marketers who are trying hard to spread awareness about their pet care services or trying to strike a rapport with new customers can easily rely on these magnets. 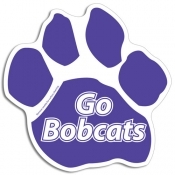 Car magnets possess UV protection and are fade, water, and heat resistant.